As 2016 draws to a close I look back on a year of many obstacles and yet I am thankful. 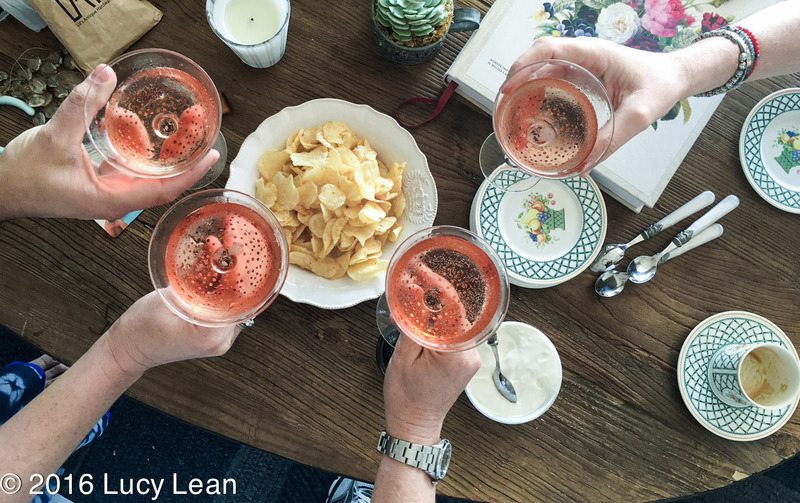 Thankful for the friends who carried us through the rough times with unconditional love and kindness – most often accompanied with bottles of Champagne and decadent amounts of caviar. 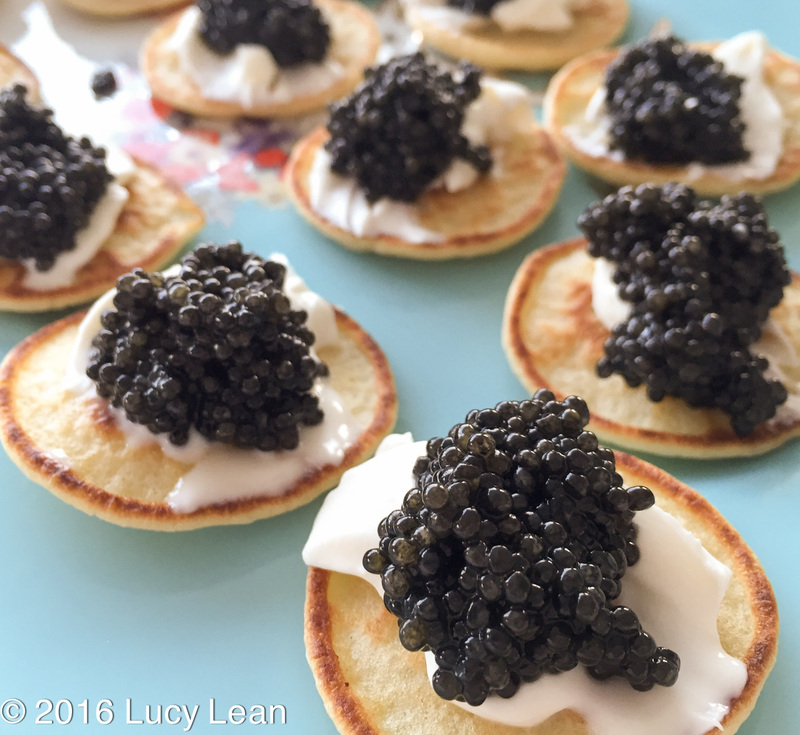 Thankful for caviar, for this Lean Luxury Caviar Recipe which is barely a recipe. Yes caviar was my saving grace in 2016 as well as friends. Thankful for the generous neighbors who reached out and lifted us all up during our darkest hours with laughter, sandwiches and support. I am especially thankful for the doctors and nurses at Childrens Hospital of Los Angeles who looked after Minty. I am thankful for the most supportive husband I could ever have dreamed of – always fighting my corner and instilling confidence in me to rise up. I am thankful for my brave and clever children who not only grew inches in the last 12 months but who showed me courage and humanity beyond their years. My favorite moments of the last year were those spent at the beach, laughing with friends as the sun sank down into the ocean in front of us. And the summer evenings in Provence lying in the lavender in the golden hour with rosé and Didier’s tummy as a pillow for my head. Looking out to sea or up at the giant sky between the olive branches contextualized issues at home and made them seem small. In the greater scheme of things they were. I rose out of a period of betrayal not only stronger but wiser. I feel like 2016 was a time for detoxing all that was bad and now it’s time to move on. I am looking forward not back and as I look forward I am busy planning ways to connect with people – both close friends and strangers. I have a gorgeous new kitchen in my Malibu beach house where I will be cooking up lots of exciting new projects. If you build it they will come – and I’m hoping lots of people will come and cook with me. We have so many ways we connect via social media but what we really need is proper connections. Connections made face to face, preferably around the dinner table over a meal washed down with fine wine. 2017 will be the year I officially expand upon Rosé Corner; a gathering place for like minded, intellectually curious souls. More details to come soon but in the meantime I give you my favorite food of 2016 – the caviar chip. 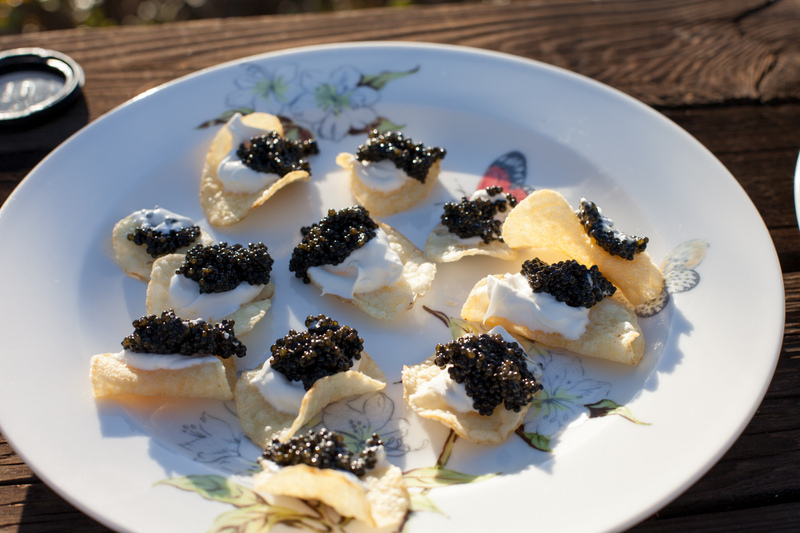 This Lean Luxury Caviar Recipe for New Year’s Eve can’t be beat. You won’t find a more delicious and decadent nibble than a chip piled high with crème fraîche and topped with a generous dollop of caviar. Just don’t use a metal spoon to scoop the caviar, at times I’ve been stuck with only silver teaspoons and have resorted to dipping the actual chips in the caviar. The ‘vehicle’ for the caviar has shifted from blinis to chips – not just because the chips are easier to find but also because the crunch is an added bonus that I now miss from a more refined baby pancake. That’s all folks – one complete bite of lean luxury with a chip and caviar. 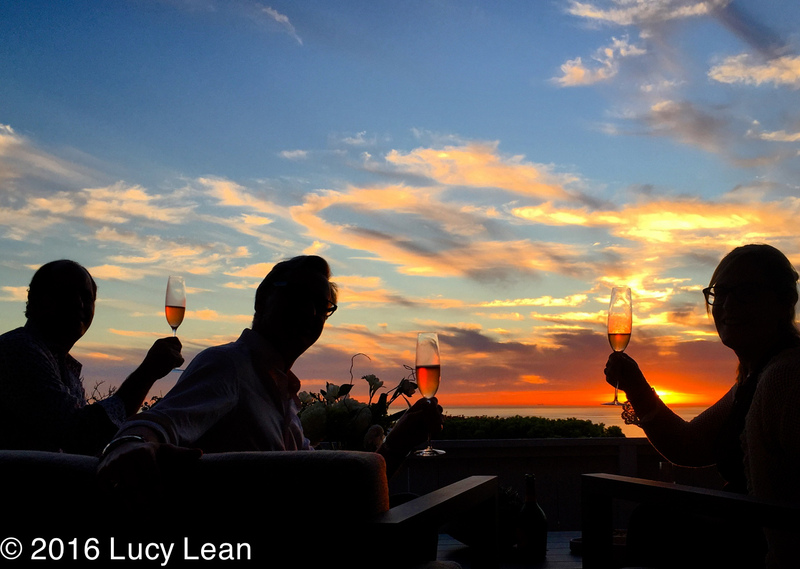 Pair with a fine rosé champagne and a Malibu sunset and say farewell to 2016. We are ready for you 2017. Wishing everyone a productive, healthy and happy new year.